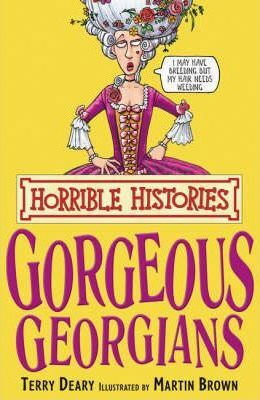 Learn all about the Gorgeous Georgians with all the nasty bits left in. You probably thought that Georgians just spent their time prancing about in powdered wigs and pantaloons. Find out the horrible truth, like their sneaky schemes for hiding personal hygiene problems and about the schoolchildren who went to war with their teachers! Includes a grisly quiz to test your knowledge. These bestselling titles are sure to be a huge hit with yet another generation of Terry Deary fans.